- The perfect design language for your wishes and requirements. All photos and text are protected by copyright and may not be used without any prior consent. Direct links to this website is only allowed with specific, written permission. 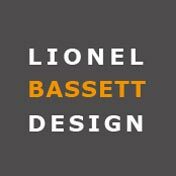 Despite meticulous checking Lionel Bassett Design cannot be held liable for all stated contents being complete, correct and fully up-to-date at any given time. Responsibility for contents deriving from links from this website or from external links to this website, lies solely with their respective operators.